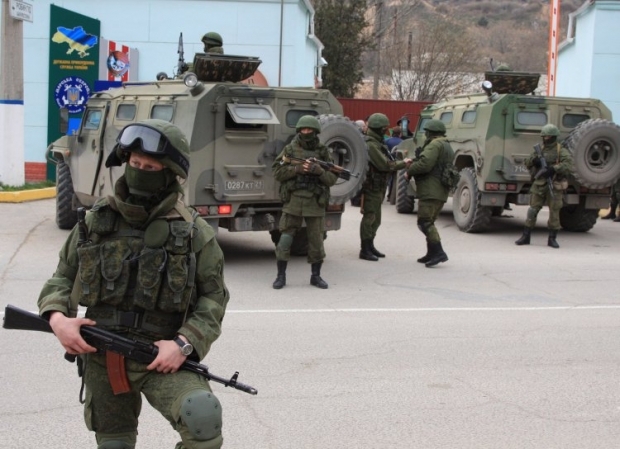 What is really at stake in Crimea? By ordering the covert invasion of Crimea, Russian President Putin created an extremely tense situation not only in Ukraine but also in the rest of Europe. The official motivation for his actions, i.e. to defend Russians living in Ukraine, is a sham. There is no evidence of the new (or any previous) government in Ukraine persecuting Russians or Russian-speaking citizens of Ukraine. Nor is annexing Crimea likely to be his ultimate objective: Crimea obtains almost all of its fresh water and electricity from continental Ukraine, many of its people will resist a return to Russia, so that it will be difficult to integrate Crimea into Russia. What are the real reasons for Putin’s actions and what is at stake? A key factor behind the Russian aggression is that Putin is strongly determined to make the February revolution in Ukraine a failure. For the second time in less than ten years, Ukrainians have mobilized to oppose corrupt and authoritarian governments. There is a strong determination among a large majority of Ukrainians to live under democratic institutions of high quality, similar to those in the West. This is the real spirit of the Maidan and of the February revolution. Dozens gave their lives for this goal, killed by Ukraine’s ex-president Yanukovych’s snipers. The revolution succeeded in ousting Yanukovych, a feat which seemed improbable just a few weeks ago. The success of this revolution is Putin’s worst nightmare, because such a revolution could extend to Russia too, where democratic aspirations hide behind the surface of Putin’s autocratic regime. Putin is therefore determined to do everything he can to make the young Ukrainian democratic experience a failure. The invasion of Crimea was a first step, destined to provoke the new government in Kiev and to create chaos. Fortunately, the new government has so far responded adequately by denouncing the invasion and not responding to this gross provocation and violation of Ukraine’s sovereignty. However, it will become increasingly difficult for the Ukrainian government to sustain this responsible position, as Russian sponsored provocateurs continuously attempt to escalate the tension in Ukraine and as the incredibly Orwellian Russian propaganda pushes for an increasingly aggressive course of action. A Ukrainian military response of any kind in Crimea might lead to an invasion in the rest of Ukraine to put in place an authoritarian administration friendly to Putin. Clearly, Putin is employing all means to achieve this goal and will not hesitate instigating the most monstrous acts and provocations to “justify” a military response. Putin’s actions are dangerous and risky, but the calculation on his part was cold blooded and clear minded. There were three key elements to his logic. First, an occupation of Crimea and other parts of Ukraine would be greeted as a liberation from a coup in Kiev. Second, Europe and the rest of the civilized world would be divided and unable to present a united front against the aggression. Western politicians would not risk energy supplies from Russia or ruin diplomatic relations with Russia over Ukraine. Third, the Russian propaganda would depict the February revolution as a fascist coup instigated by the West so as to isolate the new government in Ukraine. So far, his calculations have not proved right. Ukrainians are united in their opposition to the invasion. It is clear to most that the February revolution was not a coup but the result of a mobilization of the Ukrainian people to establish true democracy in their country. While the Russian propaganda may have been effective in the beginning, few outside Russia are falling for Putin’s claims now. The U.S., Canada, U.K., the rest of Europe and most of the planet’s governments have expressed their disgust with the invasion. This strong international reaction may appear particularly surprising given the paralysis of politicians in previous crises and the absence of clear Western geopolitical interests in Ukraine. However, the stakes are incredibly high and a weak response by the international community could ultimately cost far more than a part of Ukraine. In 1994, Ukraine voluntarily gave up the third largest arsenal of nuclear weapons. No other country has ever given up nukes. Ukraine’s act of good will was heralded as a major success of efforts to limit proliferation of nuclear weapons in the world. In exchange, Russia, the U.S. and the U.K. — and later France and China — guaranteed the sovereignty and territorial integrity of Ukraine. Now one of the guarantor countries — Russia — is invading Ukraine, and other guarantor countries appear unable to stop the aggression. In light of this, how can one credibly guarantee the sovereignty and integrity of countries protected by non-proliferation and military treaties? How will other countries under the umbrella of various U.S. security agreements — such as Japan, South Korea or NATO nations— perceive this inability of the U.S. to live up to its guarantees? The most likely response of potentially threatened countries will be to rearm themselves, thereby potentially starting an arms race. Many countries — including Ukraine — have the technical capacity to rapidly develop nuclear weapons, as well as other weapons of mass destruction and the means to deliver them. A more militarized world, along with increased uncertainty about the willingness and ability of the U.S. and its allies to enforce security guarantees, will raise the frequency of armed regional conflicts, as well as the associated probability of inadvertent global war. The invasion of Crimea may thus trigger a chain of events that threaten world peace. Start of the ICBM R-36M “Dnipro”, a missile that was completely designed and produced on the territory of Ukraine. Source: wikipedia. Given Putin’s goal of destabilizing the new government in Ukraine, the best one can do to counter the Russian strategy is to help make the Ukrainian revolution a success. This implies several policy steps. First, one must help the new government and the reform process in Ukraine. Economic aid and technical expertise to help Ukraine reform its governance and find the road to macroeconomic equilibrium and a solid growth path are more important than ever, after the invasion of Crimea. Signing the association agreement with the EU as soon as possible is another critical step in this direction. A constitutional change to achieve political and economic decentralization has become urgent and would strongly improve governance of the country. An initiative in this sense started by 2007 economics Nobel prize Roger Myerson, is crucial here (https://sites.google.com/site/tmylovanov/ukraine-decentralization-initiative). Second, the international community should use all means to stop the Russian aggression. The experience of Iran shows that diplomatic and economic sanctions can go a long way in making the aggression costly to the Russian government. Making these sanctions effective requires united efforts of the international community. While a military action should clearly be an act of last resort, a credible commitment to support the Ukrainian government in case of military confrontation inside Ukraine may in fact deescalate the conflict. This is the essence of NATO’s success in preventing aggression against its member countries. Third, it is important to debunk the Orwellian lies coming from Russia on the real situation in Ukraine. Pro-Russian forces have organized a vast propaganda campaign across the globe to repeat everywhere the Russian narrative of a West-orchestrated coup in Ukraine. This needs to be resolutely countered by getting the facts straight and exposing the lies. Despite the explosiveness of the current situation, the invasion is likely to backfire for Putin and to consolidate the reform process in Ukraine. Given the Russian threat, Ukrainians understand clearly the need for fairly distributed sacrifices to improve the economy. They also understand that the strongest unity behind the new government is literally vital. The Russian invasion of Crimea makes Ukrainians even more determined to establish a successful democracy in their country. As for Putin, if he is unsuccessful in making the Ukrainian revolution fail, he may face a stronger protest movement in Russia than that of 2011-2013 and ultimately share the destiny of Yanukovych. When I was at school in the ’30s, I was taught that the Ukraine was a part of Russia, the food bowl of Russia. Why are some people now claiming that it no longer is, as they also claim that Taipei is no longer a part of China, when for centuries it always was? Why is the west causing so much trouble by denying these facts? Thank you for the this article. It is a pity that I found it only now. This is just manipulation of the reality. Behind the coup that has given ukraine state in US hands there are only big economic interest. You should be ashamed. The fascist killer which are doing their job in the est of the country are cleaning the path for Monsanto, Cargill, Chevron, Exxon Mobil and other good american companies which are already taking their slice of the cake. And nothing is reported,nobody in the west say a word on what’s really going on there. We are tired of your master’s exported democracy, because after them it remains only blood, destruction, desperation and hopeless people. Lybia, Syria, Iraq, Afghanistan, Ukraine: who’s next? Are the US still a democracy? Thank you for this easy to understand and objective presentation of the Ukrainian crisis. Born and raised in Ukraine, educated in the US, my heart always hurts when reading the Russian propaganda and in the worse case – the commentaries of the brain washed and ignorant people who are unwilling to branch out to the legitimate sources of news. I myself found it hard to explain people around me what is truly happening in my homeland, understanding that the current situation is complex, tingled in historic events, greediness of politicians, and emotions of ordinary people living in Western and Eastern parts of Ukraine. Hence, thank you for presenting Complex as Easy and Truthful. I aim to learn from you. Lastly, I am wondering about your thoughts on the future Crimea faith and possible scenarios for the Ukrainian government and its allies to return Crimea back to Ukraine? Quick correction: Ukraine is not the only country to voluntarily give up nuclear weapons, not even the best known. South Africa developed nukes, successfully tested them and then eventually gave them all up in the 1970s. Additionally, and of this I am less certain, but I believe Kazakhstan had a rather sizable stockpile of nuclear warheads after the dissolution of the USSR that it eventually returned to Russia as well. Dear author, How can you explain the fact that Crimea wanted to separate from Ukraine for decades and has never been allowed to do so? Where was U.S. and Europe when they were standing alone against Ukrainian government that constantly amending Crimean constitution and causing disagreements in local parliament? We talk about Putin a lot here, but Putin has never said that Russia needs Crimean Peninsula, he stated quite an opposite idea in 2005. There were lots of regions that had similar referendums in the former USSR regions to join back Russia but yet none of them have been added to its territories. It’s not about discrimination and not about Putin. It’s about a region that has been “given” to Ukraine in 1954 against people’s will and that always wanted to be an independent republic. This referendum doesn’t mean that Crimea will automatically become a part of Russia. Russia will have to really brainstorm if it needs this appendix added to it’s huge (very huge) territories that they can already hardly control at the moment. A lot of events described in your article are twisted around, a lot of events have no proof or have been proved wrong. Although i see you have done a big piece of work, you are long way away from having the subject investigated the well enough to release it for people to read. What i’d like to see is what was in the association agreement with EU that Yanukovich declined to sign it and ask for some details to be revised? If you call Russian troops in Crimea a cause of chaos, then what do you call everything that was happening prior to that? The mysterious snipers – we read about officials discussing that snipers were shooting “both sides”. A8 countries that joined EU have given up a lot and then suffered to join the Union- still all those countries are very very far from democracy you are praising in your article and EU cannot do anything about it. Where would we find Ukraine in 10 years if it joined EU today? Great article. The Ukrainians will prevail. I completely agree with you that Ukraine is Putin’s potential tomb. I really don’t get it: how come you are working in Moscow, but pretend with the stubborn self-assuredness that you know for 100% what is happening across the border? You are repeating these tales told by Mr. Kiselev and Co., expecting that everyone else is buying it. Not really, you know. You are saying it’s a “fact” that “the repressions against not only Russians, but Russian-speaking Ukrainians, Jews and gypsies have taken place in Odessa, Kharkov and Donetsk and other regions of Ukraine”. Are you witness of it, or have you even been to Ukraine to present these “facts” and “expert” opinions of yours? Have any individual/media/official institution presented any proof of it: no, just rumors. Requests for investigation, law suits, official complaints, video shots? No. Because there are none. Yes, the attitude to equality of ethnic minorities, sexes etc. in Ukraine leaves a lot to be desired, but Russia is not a country to set an example here (e.g. with its chauvinism, blocking functioning of numerous human-rights organizations with “foreign agents” laws, aggressive international policy and aggressive rhetoric of Russian representatives). God no! I am Russian-speaking Ukrainian citizen from Dnipropetrovsk region and I’ve never been persecuted for speaking Russian. My best friend is a Jew from Odessa, she also has no complaints. Ask any professional in Kyiv: you can’t find a job without knowing Russian language. But. If Russia is so sure that Crimea is dying to accede, Russian government should take troops out of peninsular and let the local community initiate referendum under the current Constitutional order. But don’t expect people to make a fair and free vote at the point of a Russian gun. Our country lived for 22 years with no complaints from Crimea on account of language or anything else; this region had the widest autonomy among all administrative districts. So would you be so kind to explain me why is that decision of Russian Duma should make the part of Ukrainian territory become a Russian province in breach of every international obligation undertaken by Russian Federation? Thus, before publishing your comment next time, make sure your own statements are describing the situation accurately, instead of throwing some “facts” into reader’s faces. An excellent article. As a Russian-speaking Ukrainian who actually grew up in Ukraine and attended a Ukrainian school and university, I have NEVER been persecuted or oppressed for speaking Russian and thinking in Russian and had never had difficulties making friends with both eastern and western Ukrainians. However, loving and respecting my home country, I have become fluent in Ukrainian as well and am proud of my bilingual up-bringing. I also have relatives in now occupied Crimea who were able to freely speak both Russian and Ukrainian all their life there and enjoyed communicating with both Russian and Ukrainian tourists coming to the seaside. The Crimean people should be the ones determining their fate. And even if they want to separate from Ukraine, this must not happen under the Russian guns and military pressure or a mock referendum. This is where the support of the international community is critical. I am afraid the West (US + EU) is “loosing its face” by not acting proactively. For example, all foreign assets of all members of Duma (the Russian parliament) could be already frozen (as an answer to the fact they voted without a dissentient voice for allowing Putin enter military forces into a sovereign country in nuclear era). Mr. Gorodnichenko, why are you lying to the American people? I have been working in Moscow for last 10 years as a Financial analyst, and I can tell you right away that your analysis is a simplistic propaganda trope instead of the real situation overview. The people of Crimea met Russian troops with flowers and waving Russian flags, willing to join back the Russian federation as soon as possible. However, the concern for the U.S. policy is how to make this situation play out without a major confrontation with Russia. Denouncing the referendum in Crimea won’t stop Crimeans actually voting in favor of joining Russia. And, what is more is the fact that the repressions against not only Russians, but Russian-speaking Ukrainians, Jews and gypsies have taken place in Odessa, Kharkov and Donetsk and other regions of Ukraine. Please correct you statements in your article, they do not describe the situation accurately. Mr. Herbert, I am not sure your assessment is based on any factual basis. Only 12% of Ukrainians want to unite with Russia. 40% of people in Crimea want to unite with Russia. This is hardly an overwhelming majority. See results of a Pew poll here. First and foremost the question of the poll that you are referring to goes like this: “Ukraine and Russia must unite into a single state”. So the result 40% does not say anything about the percentage of people that want Crimea as a region and Russia to unite into a single state. Could you please correct your statement, as it is false, or refute my argument? Second, one should keep in mind that the poll was conducted in the early February when Kiev protesters yet were moderately violent and did not yet use “AK-47” against the police. The situation have changed rapidly after Feb 21, when shooting had started leaving about 100 dead and 1,000 wounded. Ukranians get used to Maidans, but shootings were beyond the tolerance of ordinary people. So results of the poll would be different if the poll was conducted today. By the way, there is no evidence that those “Dozens was killed by Ukraine’s ex-president Yanukovych’s snipers.” Either give the link or please correct yourself. Could you please explain what makes you believe these repressions are “truth” if you lived in Russia/Moscow but not these particular regions in Ukraine? Actual evidence maybe? These statements contradict to my own experience of a someone who actually grew up in a Russian speaking part of Ukraine and had been to these regions as well as Crimea. Excellent article; it is really difficult to find so logically and well written on the crisis. Everyone has been questioning what it is that the new Ukrainian government doing and not responding to the provocation. I think the answer is in the article.